modmove | Alice’s Adventures in Wonderland is coming to QPAC this February! The Australian Ballet’s most spectacular production paints the town purple! After sell-out seasons in 2017, Christopher Wheeldon’s madcap Alice’s Adventures in Wonderland© is coming to Brisbane. 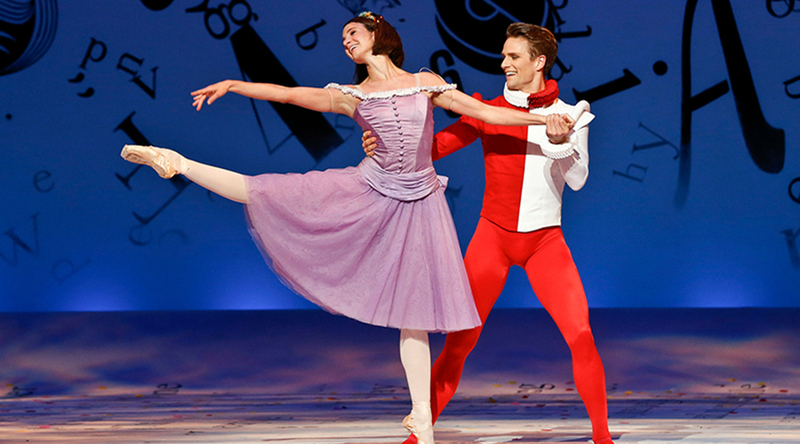 Witness as Wheeldon translates the wit and charm of Lewis Carroll’s story into dance, with extravagant sets, magnificent costumes and an extraordinary score. Wonderland comes to life with puppetry, eye-bending illusions and playful costumes. Join Alice as she meets a twitchy White Rabbit, tap-dancing Mad Hatter and a tyrannical Red Queen in this family-friendly adventure. Experience breathtaking visuals from Tony Award-winning designer Bob Crowley and a colourful score by Joby Talbot performed live by Queensland Symphony Orchestra. With the spectacle of Broadway, this ballet will transport you into the depths of your imagination. It’s time to fall down the rabbit hole – don’t be late for this very important date!